The CHOC Children’s Small Baby Unit is a very special unit within our neonatal intensive care unit (NICU) that focuses on caring for the unique needs of the smallest and sickest babies. Designed for babies born at less than 28 weeks gestation or who weigh less than 1,000 grams, it is the only unit of its kind anywhere. The Small Baby Unit is designed to aid in the babies’ development with dim lighting and low noise levels. The unit offers two four-bed pods, and four individual rooms—two of which are fully functional operating suites. Published studies show that babies born before 28 weeks gestation or weighing less than 1,000 grams do better in a dedicated, high-volume program like ours where the specially trained team provides guidelines-driven care. The Small Baby Unit is staffed with a specially selected multidisciplinary team of highly trained and dedicated NICU nurses, respiratory therapists, physical therapists, occupational therapists, lactation consultants and pharmacists who have undergone advanced education. We also offer an extraordinary team of case managers, social workers, psychologists and a family support liaison who helps with everything from dealing with the emotions of life in the NICU to handling insurance companies and home health needs. 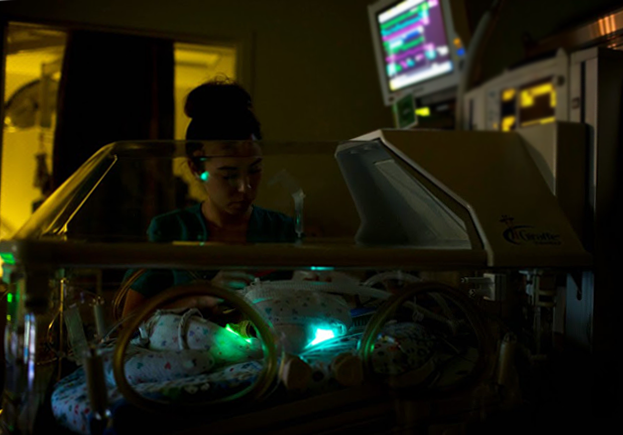 All NICU associates not only undergo special training in neonatal intensive care, but receive specific training on the health complexities of extremely low birth weight babies upon becoming a member of the team as well. As part of their continuing education, our staff attends quarterly “Small Talks” with our neonatologists covering the specific topics facing patients in the unit. Crucial for the newborns in the Small Baby Unit are our developmental care team who continuously assess muscle tone and movement, feeding and motor development of our babies and our team of registered dietitians who continuously monitor the growth and development of our babies to ensure they are receiving the correct nutrition. 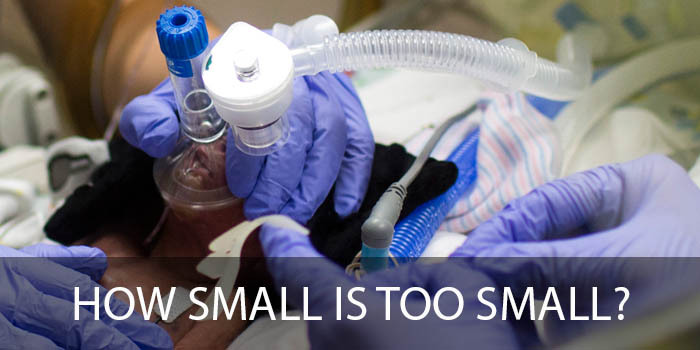 Because the entire Small Baby Unit staff specializes in caring for tiny, fragile babies, they can be an incredible source of strength and guidance while in the NICU. They work closely with families to help them learn about their babies and understand complex medical terminology and procedures. Our staff is by your side during the tough decisions and emotional rough patches, as well as when it comes time to celebrate special milestones and happy times. What’s more, because families with babies in the unit are going through many of the same experiences, they are able to form a bond of friendship and understanding that would be difficult to forge elsewhere. 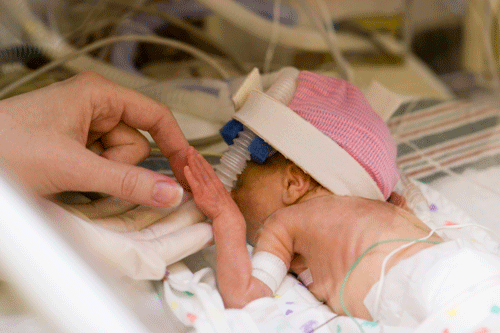 Learn more about the resources available to all NICU patients and families. Consider making a gift to support CHOC’s tiniest patients. Orange, California (CNN) — Ian Chung is nestled in darkness. Born just 24 weeks into gestation, he weighs scarcely more than a pound. He can hear the faint sounds of the outside world mingling with the soothing sound of his mother’s voice. His spindly arms and legs shake as he lets out a warble. Emma Faith is one of scores of children who have received treatment inside the Small Baby Unit. Now she is thriving and flourishing. Learn more about Emma and how the unit is improving lives for the littlest patients. Even if a woman does everything right, her baby can still be born prematurely. 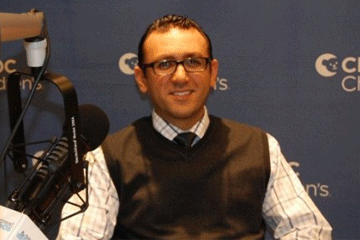 In this CHOC Radio segment, Dr. Tony Soliman addresses this serious health concern and gives tips for preventing preterm labor. More babies who are born prematurely are surviving because of medical advances, but at CHOC, the goal goes beyond survival. Learn more about how we're ensuring babies thrive in this CHOC Radio segment.